The Pendant Bubble Chandelier is part of PELLE's Bubble Chandelier Collection, a stunning line of luminous glass globes configured in delicate, airy compositions. The distinctive chandeliers artfully combine PELLE's signature material palette of cotton and leather cording with blown-glass globes. 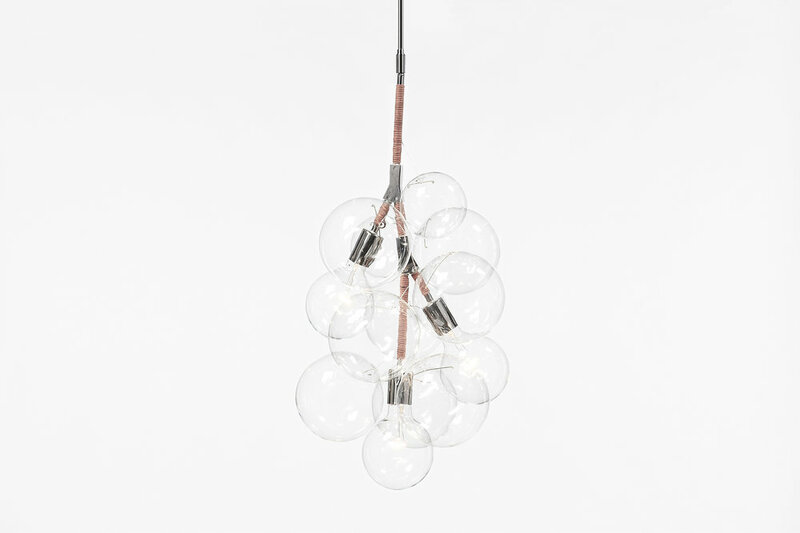 The Pendant Bubble Chandelier provides ambient, diffused illumination through three clear, G40 incandescent or LED lamps nestled within a cluster of twelve, four-inch and six-inch blown glass globes.